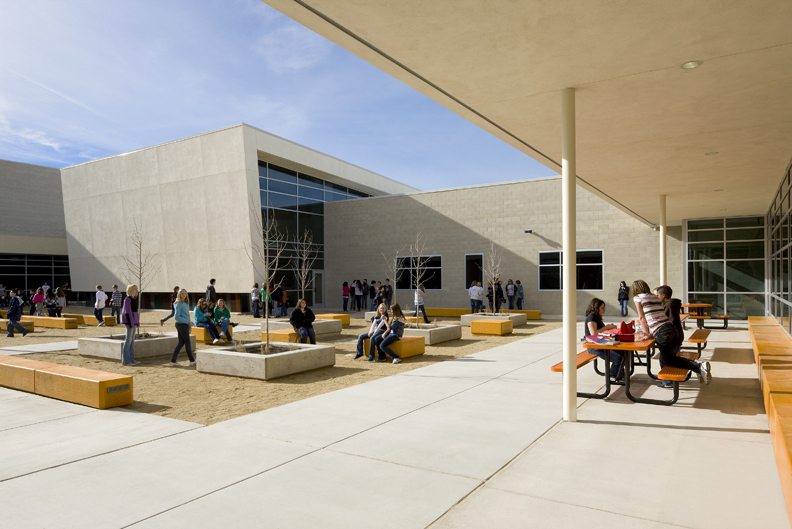 Completed in 2010 for the Lyon County School District, the design of the intermediate school is based on grade-level wings which promote the notion of “student neighborhoods” and advance the practice of team teaching. 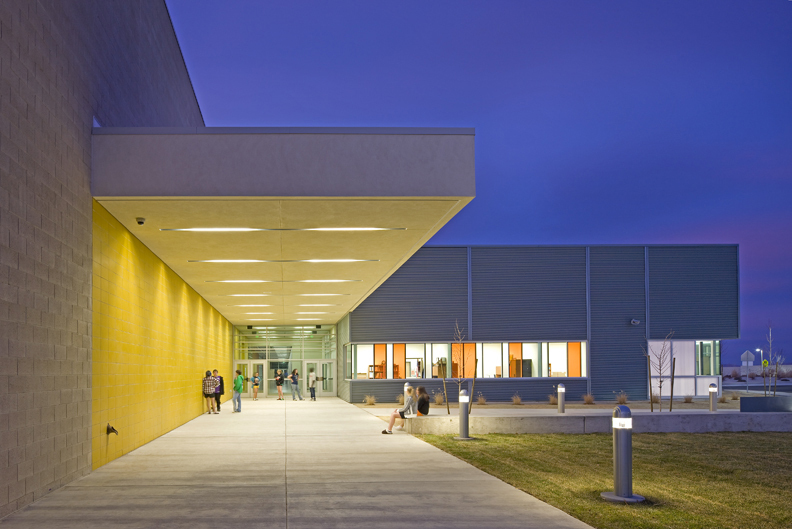 The layout of the building circulation provides a functional connection for each wing to other destinations along the core of the school—such as the computer labs, library, gymnasium and performing/visual arts. The central courtyard provides an essential age-appropriate space for student interaction, as it serves the needs of a flexible population and offers opportunities for community use during after-hours engagements. Following a series of locally driven design charettes, the new schools were designed to respond to the needs of the community in both their programmatic and aesthetic arrangements. Developed as part of a new educational campus, the materiality of each school reflects both the local built and natural context of Fernley, while providing a sense of community and permanence. Responding to budgetary limits, the integration of special materials such as glazed block, atlas brick, corrugated metal and polycarbonate panels are found at special locations throughout each school. The exterior color palette of the campus reflects the cool colors associated with the fall and winter season. These colors are juxtaposed against a series of vivacious moments of color which code the various internal programmatic spaces, thus energizing the interior environment. The school is oriented to maximize solar exposure from the south, while providing natural day light to all classroom spaces. A Solar hot water system and series of wind turbines provide a renewable supplement to the energy demands of the campus.